A vapor retarder is any material that limits the transmission of water vapor. If you're using unfaced fiber glass insulation, a suitable vapor retarder is a 2-mil nylon film called MemBrain™, the Smart Vapor Retarder. 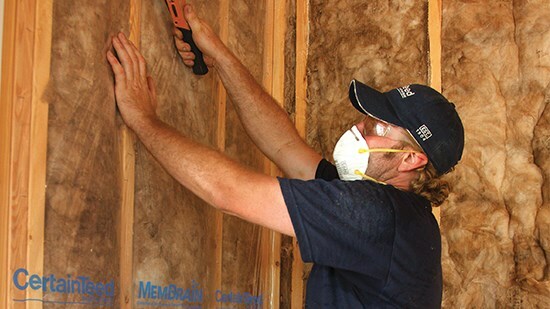 Or, you can buy faced fiber glass insulation, which has the vapor retarder already attached. Flame-Resistant Foil-Faced - foil-scrim-kraft (FSK) paper that is strong and resistant to flame spread. Managing moisture within the wall is critical to help mitigate the dangers of mold and mildew growth. Learn how CertainTeed's SMART Vapor Retarders with MoistureSense™ Technology work and are a revolutionary solution to combat these issues.